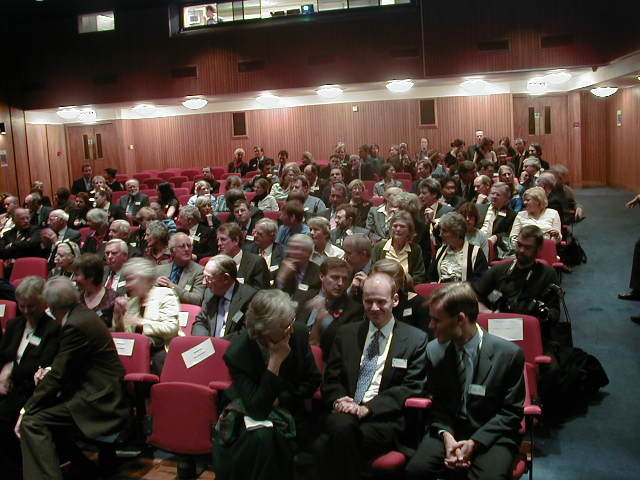 The Founders Memorial Lecture was organised by WWF-UK to honour the memory of Guy Mountford and Max Nicholson who were in the small group which founded WWF. After a brief introduction and character sketch of Guy and Max by Sir David Attenborough, the lecture was given by Adair turner, Vice Chairman of Merrill Lynch Europeon the subject "Conservation in a Global Economy". 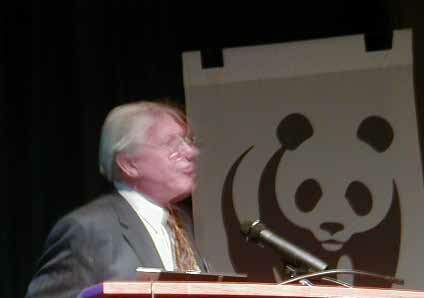 A summary of the text of this lecture has been posted on the WWF website. 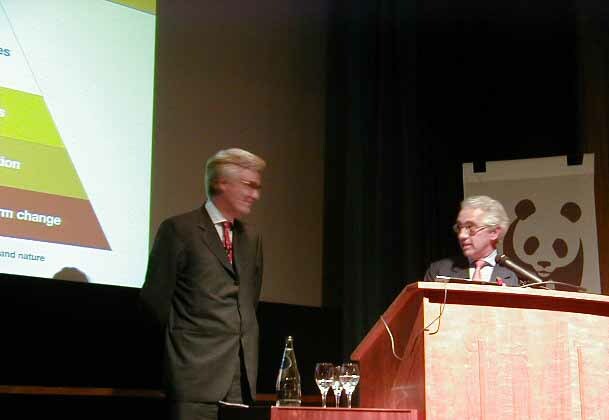 The second picture shows Adair Turner (left) being thanked by Robert Napier, Chief Executive of WWF-UK. 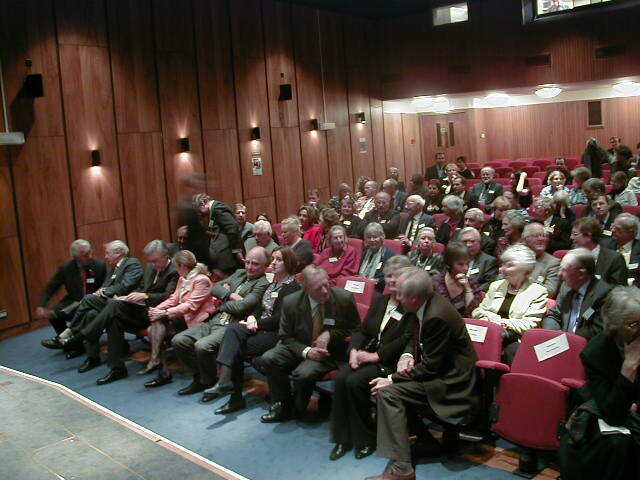 The lecture was attended by some 200 people including many distinguished people in the conservation field and the families of the two founders. Photographs Copyright © 2003 www.maxnicholson.com - Reproduction permitted provided due this copyright line also appears.